During the Industrial Revolution, Swansea developed into an important centre and a seaport town. The Swansea & Mumbles Railway (or the Oystermouth Railroad as it was then known) was formed so that lime produced from kilns on the Gower and coal from the Clyne Valley could be transported to the wharfs at Swansea. In the year 1807, the Swansea & Mumbles Railway began to carry passengers, becoming the first railway in the world to do so. The first passenger carriages were made from the mineral wagons used on the tramroad. The man responsible for this was Benjamin French, an initial shareholder in the railway. Horse drawn trains remained on the Swansea & Mumbles Railway until 1896 (albeit intermittently with steam powered locomotives). The move to steam traction. Steam trials took place on the Swansea & Mumbles Railway between 1878 and 1885 and also between 1892 and 1896. Three of the Swansea & Mumbles Railway steam trains were given names. They were called ‘Crumlyn’, ‘Swansea’ and ‘Hampshire’. 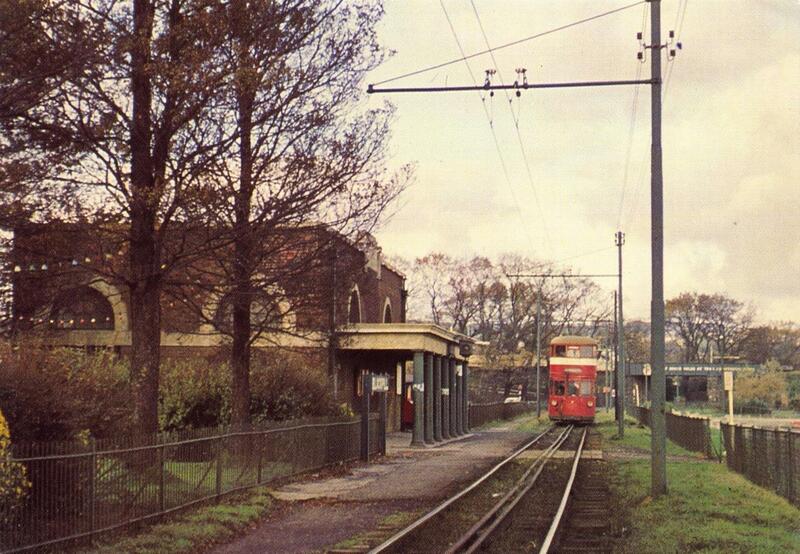 The original terminus of the line was at Oystermouth. 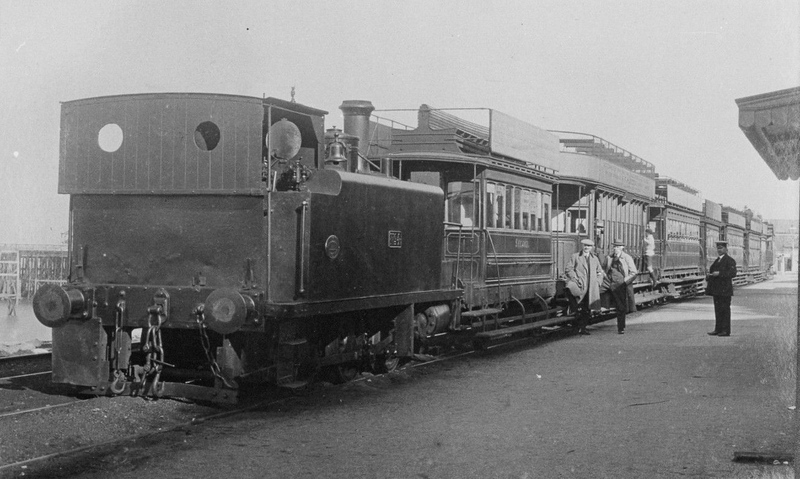 In 1893, The Swansea & Mumbles Railway was extended to Southend, and was completed to the Mumbles in 1898. This made the Swansea & Mumbles Railway very popular with day trippers and tourists who visited the Mumbles Pier. Steam traction continued on the railway until March 1st 1929. The line was electrified in 1928 at 650 volt DC using overhead transmission. Trials began on 6th July 1928 and full electric services were introduced on 2nd March 1929. Using a fleet of eleven double-deck cars built by the Brush Electrical Company of Loughborough, in Leicestershire. These were the largest ever built for service in Britain and each car could seat 106 passengers, and frequently operated in pairs. 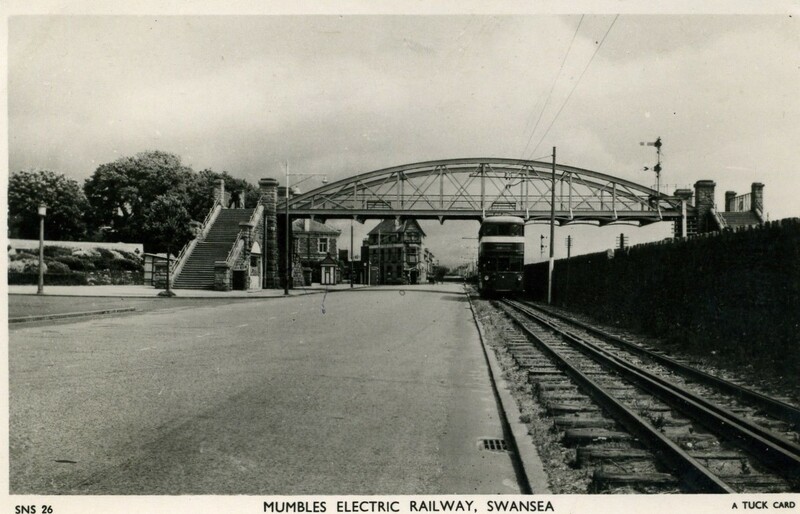 In October 1958, 90% of the shares of the Mumbles Railway Ltd. passed into the hands of the South Wales Transport Company (SWTC). The Swansea and Mumbles Railway finally closed on the 5th January 1960, the last train entered the Rutland Street terminus at 12:20 am. The front end of car no. 7 was also saved for preservation at Swansea Museum; following many years of neglect it was initially restored in the early 1970s by members of the Railway Club of Wales. It is now on display in the Tram Shed alongside the National Waterfront Museum in Swansea. For the Swansea & Mumbles Railway. 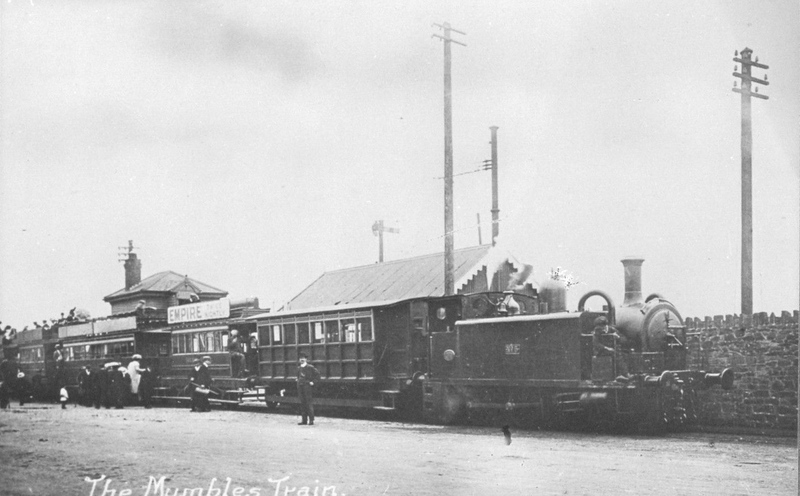 Swansea & Mumbles Railway. Charles E. Lee, Oakwood Press, 1988. ISBN 08536613818.